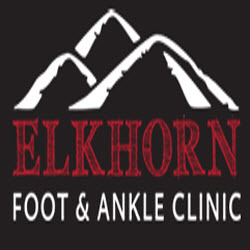 Elkhorn Foot and Ankle, in Helena, MT would like to extend a very warm welcome to you. At our practice you will find a positive and friendly staff ready to serve you in all of your podiatric needs. Or physician, Dr. Smith and experienced staff have a genuine concern for patient health and well being. Dr. Jason Smith, also known as the “below the knee specialist”, specializes in the foot and ankle, using extensive knowledge and experience to find the best treatment for a fast and effective recovery. Dr. Smith is dedicated to using the most advanced technology and the latest research to ensure great podiatric care for all of our patients. 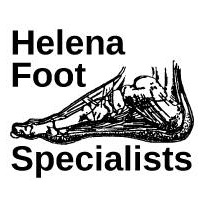 is a leader in the Podiatric field, specializing in all aspects of care involving the foot and ankle. Giving our patients the very best in foot and ankle care is our goal, which we aim to achieve through a gentle and caring atmosphere, a highly trained staff, and innovative techniques. Whether you have been suffering from foot or ankle issues for a long time or if you have a new injury that is causing you pain, we can ensure you comfort and satisfaction. We will help to identify your foot and ankle needs and then work together with you on an individual basis to develop a treatment plan to achieve these common goals. You can trust our years of experience and specialized services with your foot health. You'll find a great deal of worthwhile information on the rest of our web site in regards to foot health, treatments, problems and diagnoses.We are licensed, insured, and have experienced backgrounds in construction, painting and home repair. Let us help make your house a home! Call today! Many people are at a loss when they realize they have unwanted electronics or computers. Many do not want to throw these items away especially with all of the personal information these items often contain. Call us today to discuss your option and what we can do for you or your business!